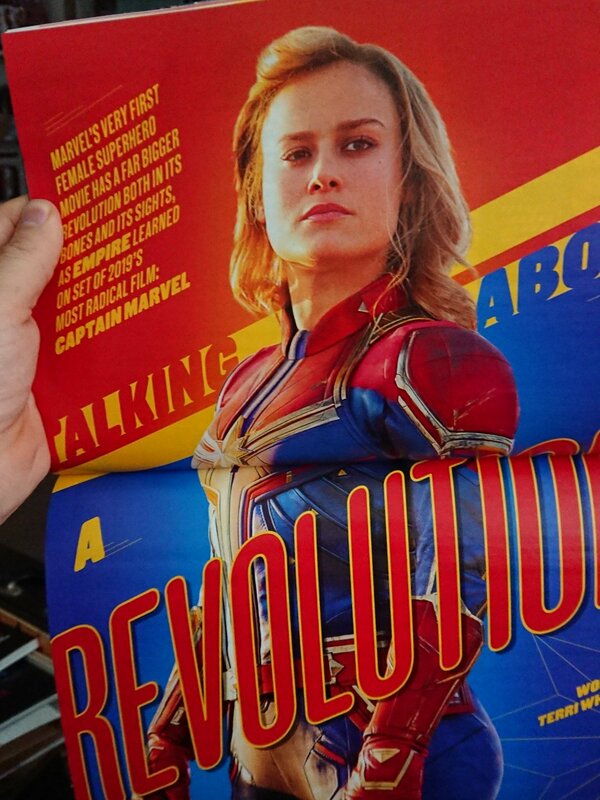 The Empire Magazine focusing on Captain Marvel comes out later this week, but we already have two new images to be exclusively revealed by the edition. The first one shows Ben Mendelsohn in full-on Skrull mode as Talos, the race’s leader and seemingly the main antagonist in the movie. As the boss he’s being said to be, another Skrull looks up to him as he stares at the distance. Check out the amazing detail that went into making this prosthetic look. You can even see their pores! The second one is apparently from a much less thoughtful moment and looks to be set right in the action. Jude Law‘s much speculated Starforce officer takes cover from something, a weapon in his hands, and just like Talos, a member of his ensemble, also in uniforms, looks directly at him. The character is said to be Bron-Char, a kree warrior played by Rune Temte. As we approach Captain Marvel’s arrival at the theaters, more content like this is sure to follow. The full report by Empire comes out next thursday, January 24th.